Thank you and we look forward to seeing you at the event! To skip the queue at the entrance, please be ready to show us your printed ticket or electronic ticket on your mobile device at the door. Please be reminded that event-only product promotions are exclusive for event attendees. You must provide your name and Member ID on the ticket registration. No-shows will not be entitled to exclusive event-only product promotions. Thank you for your understanding. 感謝閣下是次的參與, 我們期待在會埸當日與您相見! 為了更快速處理閣下當日的登記程序, 請您當日預先準備好您的打印門票或電子門票, 再排隊進場。 請注意, 您必須於購票時提供您的姓名及會員編號，方可享有活動當日的產品折扣優惠。 缺席者將無法享有活動當日的產品折扣優惠。 感謝閣下的理解與配合! YL Fit 2017：Active Lifestyle Starts Here! Mark your calendar for Young Living Hong Kong’s first outdoor fitness event on 29 April at West Kowloon Cultural District! Dear wellness lovers - funky dance, yoga, meditation, kids activities and all fun stuff are here for YOU! True wellness starts from small habits! This event is an opportunity to inspire you to discover and achieve your “BEST self”, while to share unforgettable moments with your kids and family! We are partnering with kids, sports and fitness associations to lead you through fun sessions and other exciting activities that fit everyone at all ages and fitness levels! Join us at the YL Fit event and put your best foot forward to ultimate wellness! Join fitness professionals in funky dance, yoga and meditation practices. Refresh yourself with healthy lifestyle. Learn more about Young Living’s products that support active lifestyle. Try out fun activities and share unforgettable moments with your kids. Enjoy pre-order in advance and onsite ordering. Enjoy event exclusive promotions and FREE local shipping (for orders with 100PV or above) . General Admission includes: Experience Booths, slackline, bubble soccer and kids’ favorite mini sports. Each ticket holder can bring a maximum of 2 children aged between 3-12. General Admission to Free activities at public area. 1 pre-selected yoga/meditation/funky dance session at Central Lawn. 1 FREE pack of 60ml NingXia Red. Enjoy event exclusive promotions and FREE local shipping (for orders with 100PV or above). Each attendee can bring maximum 2 children (aged between 3 - 12). 1 special-edition Young Living yoga mat. Made from eco-friendly TPE and cotton, the Young Living Yoga Mat is comfortable and supportive. The high density 6mm mat has a double-sided slip-resistant and resilient surface, which gives you cushioning and grip with a comfortable touch. Comes with a carrying bag with strap, it is the ideal companion for beginners and yoga lovers. # No onsite order fulfillment on event day. ^ Public area includes the Sunset Lawn and Big Circle. 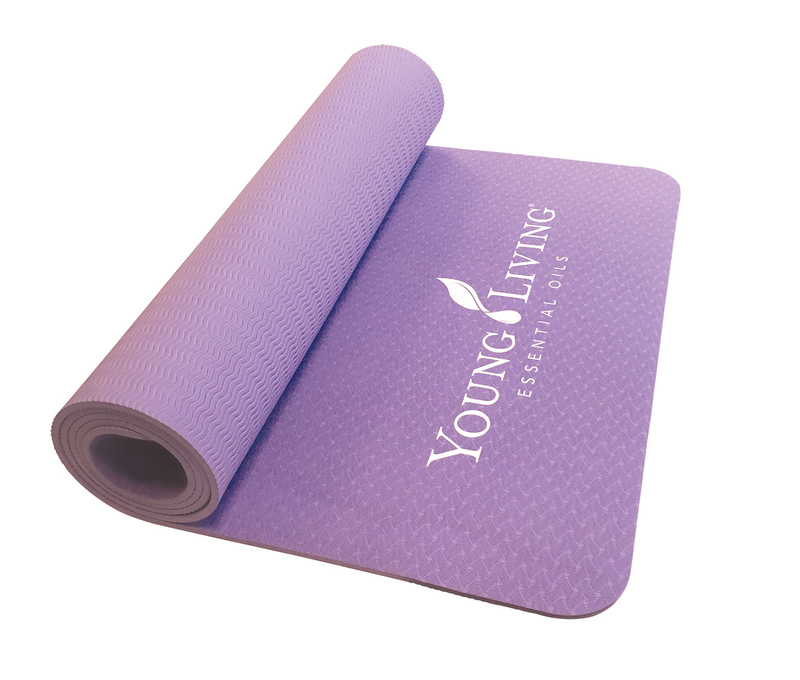 *Attendees need to pick up the Young Living Yoga mat at the event. Why are you hesitating? Register today and join us in this highly anticipated event with your family and friends! Click here to know more about the event.